~~ As this is going to get a bit lengthy, I’ll save my stories until the end and share some observations first. 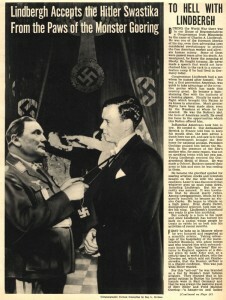 ~~ How is it that Spain has been without a government for five months? And why do I get blank looks when I say this to people in the U.S.? 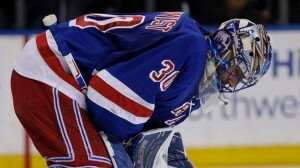 ~~ The New York Rangers broke my heart even though I saw this crash-and-burn coming miles away. I am the world’s biggest realist (with an enormous underbelly of pessimism), but when it comes to the teams I root for, I steadfastly and optimistically refuse to acknowledge the piles of excrement wearing jerseys until the bitter end. In the case of the Rangers, the stench burned away the lining of my nose all last week, but still I tried to sniff out perfume even as it was obvious that they should reenact the Passover story and make a hasty exodus from the arena. However, if you think I learned any lesson at all, you’d be wrong. 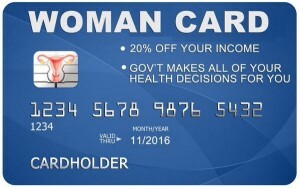 ~~ I’m laminating my woman’s card tonight in hopes it’ll get me even less than78 cents on the dollar in wages, more male politicians restricting my reproductive health, and as many women disliking me as they do Secretary Clinton. ~~ Donald Trump is either historically illiterate or tone deaf. 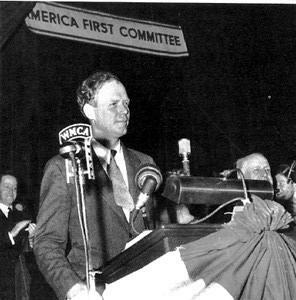 He pontificated about “America First” as if he invented this isolationist policy, when in fact Charles Lindbergh — Nazi lover, Jew hater — espoused it in the 1930s and early 40s. 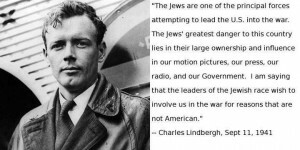 Supporters who scoff at Jews bristling over Trump’s call for a banning of Muslims, certain that it will open the door to discrimination on more fronts, should refresh their knowledge of Lindbergh’s America First movement. I let her in and insist she stay in the kitchen until my husband shows (I called immediately). She whips out her phone and is bellowing into it. I’m shaking in frustration and a bit of fear. When my husband gets home, he has a semi-heated discussion in which the aide insists she’s not sick, despite the DayQuil he spots in her bag. That’s for allergies, she maintains, but not for dog allergies. The dogs must go, she trumpets. But she’s the one that goes. ~~ Second day: I return from morning yoga and my husband says a new aide’s come to replace the present one. She arrived a few minutes before he did, so the one aide let the other into the house. OK, cool. I’ll try to be positive in the face of so much upheaval. I bid my husband goodbye, make the acquaintance of the new aide, and sit down at the desk to work. From my window, I see a mini school bus pull up and then three cop cars. Oh, no! I go outside, concerned. A cop approaches and I ask if all is OK. Does someone on the bus need help, and if so, whom do I call since he’s a cop? While I question him, he stares at me, gesturing for me to move farther away from the door. He’s not answering my inquiries. Instead, he’s motioning me towards the street. Finally, he starts asking if I’m OK. What? “Are you OK?” he says for a third time. “Is there anyone inside threatening you? What what what? By now, I am quite far from the door, and he tells me that one of my neighbors called the police to report “strange people breaking into [my] house.” Oh, now I get it! One black woman let another into my house and a white neighbor freaked. Shaking again for the second time this week — 10 times as hard as the day before — I return to my desk. Five minutes later, the massive cop returns, looking quite concerned. I go out, flabbergasted as he starts drawing me away again. “I called your neighbor to tell her what’s going on and she insists you’re still in peril.” He seems like a very nice man, so I don’t go all snotty on him. I do invite him to come in, do a thorough sweep in night vision goggles or whatever else it will take to reassure him that it’s just me, two dopey dogs, and two women who’ve done zip except commit the crime of existing while black. He finally leaves and I make myself a cup of English Breakfast tea at two in the afternoon. Compounding that crime, I let the leaves steep an extra five minutes. Hey, bigot neighbor: call the tea police! Have a good weekend. If you’re observing, Kalo Pascha! I started to reply to say that I'm glad I don't live with neighbours like yours but then it occurred to me that maybe I do--they're certainly not going to advertise, are they? No, they don't advertise, but they sure call the cops. I'm pretty good! I have a lot less going on than you do right now. Consider yourself lucky. "Uneventful" seems like the best day to have. Indeed! You've been in my thoughts. Maybe that really will help in some tiny way.